SPACIOUS POOL HOME IN ONE OF PALM HARBOR'S PREMIER COMMUNITIES, 'AUTUMN WOODS'! THIS SOUGHT AFTER LOCATION IS KNOWN FOR ITS LARGE HOMESITES, MATURE LANDSCAPING AND WINDING, ROLLING STREETS. THIS 5 BEDROOM, 3.1 BATH, ORIGINAL OWNER HOME SITS ON OVER A HALF ACRE CORNER LOT! PRIVACY ABOUNDS AND MAJOR UPDATES HAVE ALREADY BEEN MADE! THE KITCHEN IS TOTALLY REMODELED AND OPENS TO A MASSIVE FAMILY ROOM WITH VAULTED CEILINGS AND A BEAUTIFUL FIREPLACE! A SECOND FIREPLACE IS THE CENTERPIECE OF THE COMFORTABLE LIVING ROOM! THE FLOOR PLAN ALSO INCLUDES A FORMAL DINING ROOM AND SPLIT BEDROOMS, ONE BEDROOM IS CURRENTLY USED AS AN OFFICE. THE LARGE MASTER RETREAT HAS A FULLY UPDATED BATH WITH SHOWER AND SEPARATE TUB! OUTSIDE YOU'LL FIND A SPACIOUS UNDERCOVER LANAI WITH A POOLSIDE OUTDOOR GRILL! THE LOVELY POOL AND SCREENED ENCLOSURE ALLOW AMPLE SPACE FOR ENTERTAINING AND FINE FAMILY LIVING! OTHER NOTABLE UPDATES INCLUDE THE HOME'S FRESH PAINT AND A LANAI ROOF REPLACEMENT IN 2017! AUTUMN WOODS COMMUNITY HAS A PLAYGROUND, DOG PARK, PICNIC AREA, TENNIS & BASKETBALL COURTS! IT'S JUST A SHORT WAY TO THE PINELLAS TRAIL AND A BIKE RIDE TO GULF BEACHES! 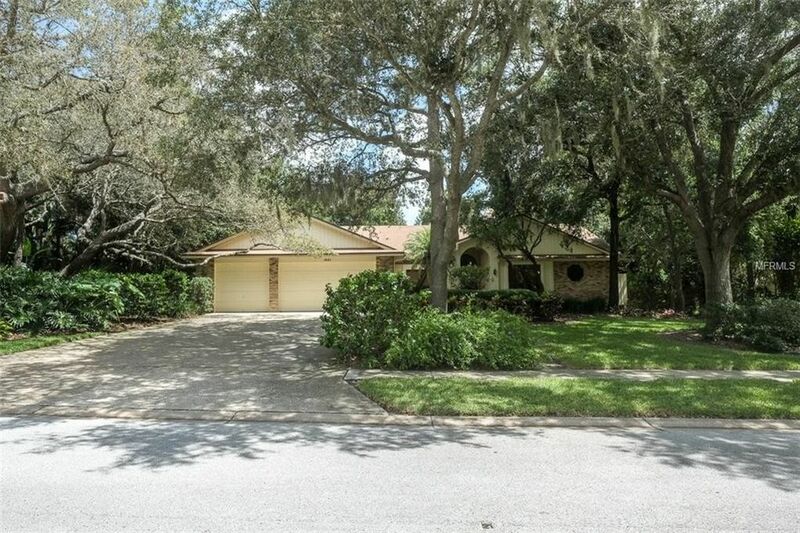 ZONED FOR TOP RATED SCHOOLS INCLUDING SOUGHT AFTER PALM HARBOR UNIVERSITY HIGH SCHOOL! THIS HOME IS PRICED TO SELL WITH THE CONSIDERATION THAT BUYER MAY WANT TO CONTINUE THE UPDATES WITH NEW FLOORING! THIS LOCATION... THIS HOME... WON'T LAST LONG! BETTER HURRY!! Directions: US 19 TO ALDERMAN ROAD TO AUTUMN WOODS SUBDIVISION, FIRST RIGHT ON CHESTNUT TO FIRST HOUSE ON THE LEFT.